Tonight, and actually for the last couple of nights, I have been unpacking, sorting, and putting away my quiltart fabric. It has been packed away in storage for over three years. Just by coincidence, it was packed away less than two weeks after I was finally diagnosed correctly with the TBI and Multiple Concussion Syndrome. All of my belongings were hurriedly packed because my mother had had a slight stroke and I needed to go help her in Florida for a month, and I had completely run out of money for rent so I needed to move out of my apartment anyway. Friends had me packed up and moved into a storage locker in under four days. That was the beginning of my “transient” year – a nice word for homeless. As I sorted through the saturated colors of cotton, it was like I was sorting through memories and feelings that had been tucked away in the folds of material back when it was packed up. During those years I collected fabric. I called myself a quilt artist but have only three pieces (all unfinished) to show for that whole seven years. I couldn’t make anything. Planning, organizing, spacial relationships, and sequencing were all damaged but I did not know that then. I just was embarrassed and extremely disappointed with myself. It was a dark time. Unpacking the fabric, I also unpacked all those emotions from that time period. Just such a feeling of being lost, confused, barely hanging on . . . but mainly Lost!! As I sorted the fabric, I was able to hold those emotions in the light of now and look at the distance I have come. There is a feeling of mourning for the loss of seven years; all the wishing it could have been different. But as I placed the fabric neatly, sorted by color into the drawers tonight, I was placing the fabric into my NOW. It has taken me a year and a half of living in this apartment to get to the point where I am organized enough that I have room for my fabric, and more importantly, room in my life to begin to sew. Now since I understand the brain injuries I am much quicker to identify problem areas and where I need help. For instance, I realize that though I understand how the color wheel works and can use it, I do not understand how to apply it to fabric, sewing, and quiltart. Seems like it should be a straightforward leap from the color wheel to the fabric but my brain cells are not doing it! I am equally overwhelmed by the thought of – now what? So I have my fabric out, now what am I going to do with it? But here is the big difference between the then and now; Now I am not lost. I know that I have brain holes and that I can strategically work around them. I can identify the problem areas and figure out what I can do about it. In this case, I am going to invite a quilter friend or two over to tea and we will play with my pretty fabric, using the color wheel until it makes sense. 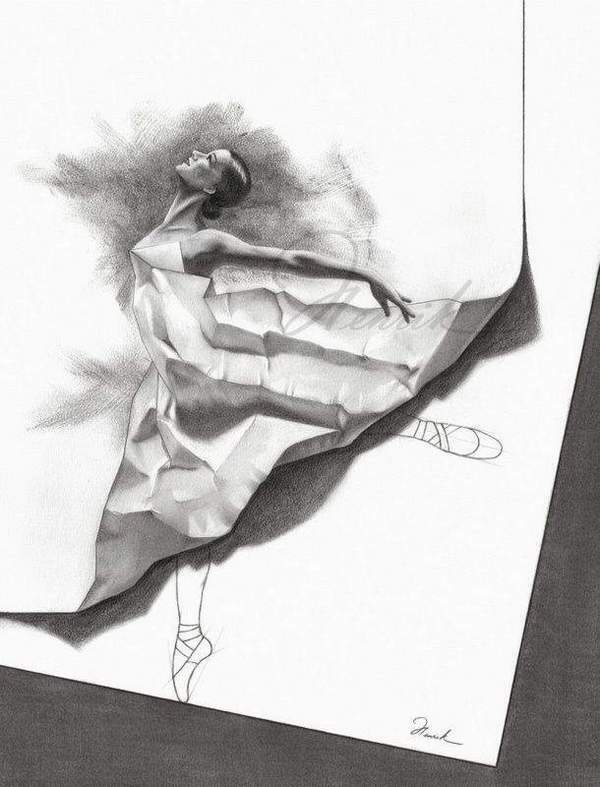 Dancer drawing is by Henrik Moses and is used with permission. To see more of Henrik’s amazing work go to: http://www.artility.nl/ Thank you again, Henrik.